Research In Motion Ltd. (RIM-T14.810.140.95%) has maintained a narrow lead in the Canadian smartphone market ahead of Apple Inc. (AAPL-Q520.414.020.78%) but has lost a lot of ground to handset vendors running Google Inc.'s (GOOG-Q608.312.200.36%) Android software, including Samsung Electronics, according to a new report. According to research firm comScore, Waterloo, Ont.-based RIM had 32.6 per cent of the smartphone market in Canada, while Cupertino, Calif-based technology giant Apple had 31.2 per cent. Samsung, the Korean conglomerate that has released several sleek models over the last year running Google’s Android operating system, had 11 per cent at the end of the three months ending in December, 2011. In other global markets, Canada's largest technology company has fallen well behind Apple. 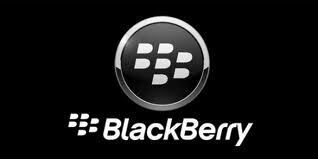 In the United Kingdom, where BlackBerrys have not suffered the same brand erosion as in the United States, RIM had 18.3 per cent of the smartphone market, with Apple at 26.4 per cent and Taiwanese manufacturer HTC Corp. had 18.5 per cent of the U.K. market. In the United States, where RIM's new chief executive Thorsten Heins has vowed to mount a marketing blitz to regain its former dominance, Apple had nearly twice RIM's market share: While RIM had slipped to 16 per cent of the valuable U.S. market, Apple was at 29.6 per cent, even as other devices running Android continued to gain share against Apple's latest iPhone 4S. In Italy, Germany, France and Spain, comScore data showed that RIM was not in any of the top three spots, which were populated by Apple, Nokia and Samsung. In Japan, a unique market long dominated by Japanese handset vendors, Apple had triumphed over local manufacturers Sharp and Sony-Ericsson with a 33.6 per cent market share lead. When asked for comparative data on the Canadian market for the quarter ending in December, 2010, comScore said it had only recently started reporting on the Canadian mobile market in 2011. However, in the first three months of 2011 ending in March, RIM had 42.1 per cent of Canada's smartphone market, ahead of Apple's iOS platform at 31.1 per cent and Android at 12.3 per cent – which points to a drop in RIM's Canadian market share of almost 10 per cent. In the period ending in December, 2011, Android had more than doubled its Canadian smartphone market share to 27.8 per cent, showing that RIM has mainly lost ground to handset makers such as Samsung and HTC, which both have advanced, consumer-focused handsets running Android.